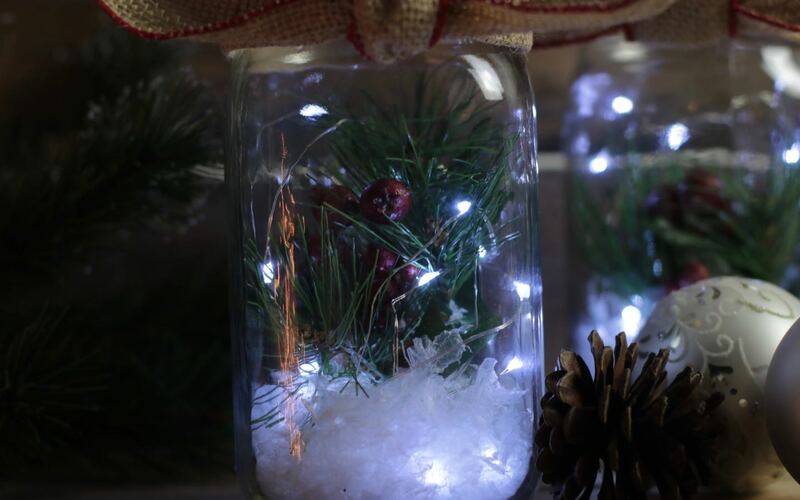 Shopping for the best Christmas lights? 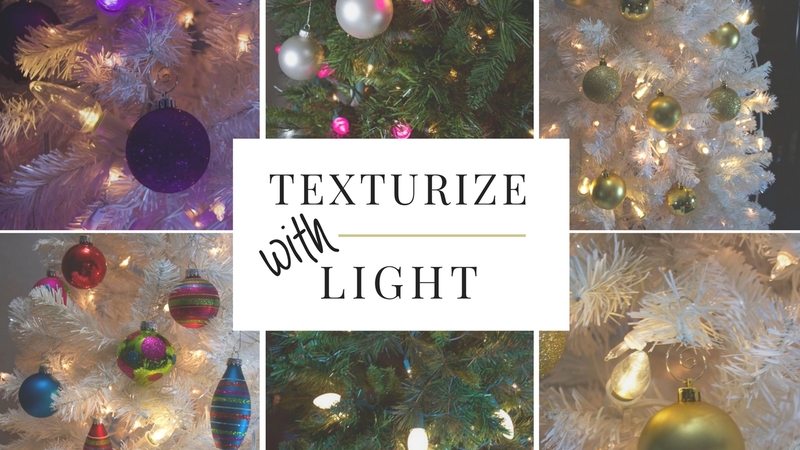 As you search the web for just the right lights to outline your roofline, walkway, or fence or light your Christmas or outdoor trees, you are bound to see bulbs that are designated as C7 or C9. 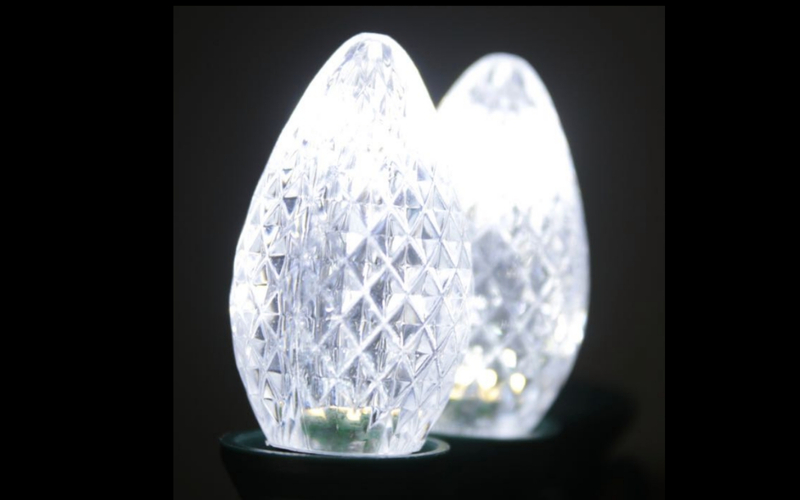 This quick article discusses how these two types of bulbs are different. 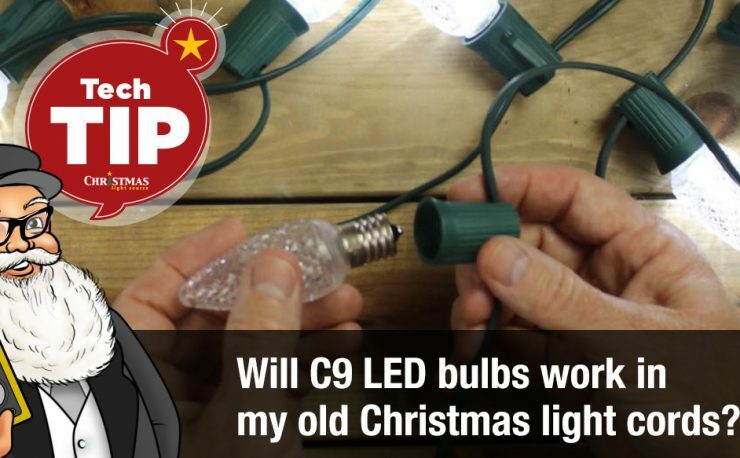 The Question: What is the difference between a C7 and C9 Christmas light bulb? Short Answer: C7 bulbs are about 1.5 inches tall and have E12 bases, C9 bulbs are roughly 2.25 inches tall and have E17 bases. Both fit into cords that are commonly wired in parallel and are a favorite of both professional and residential Christmas light installers. 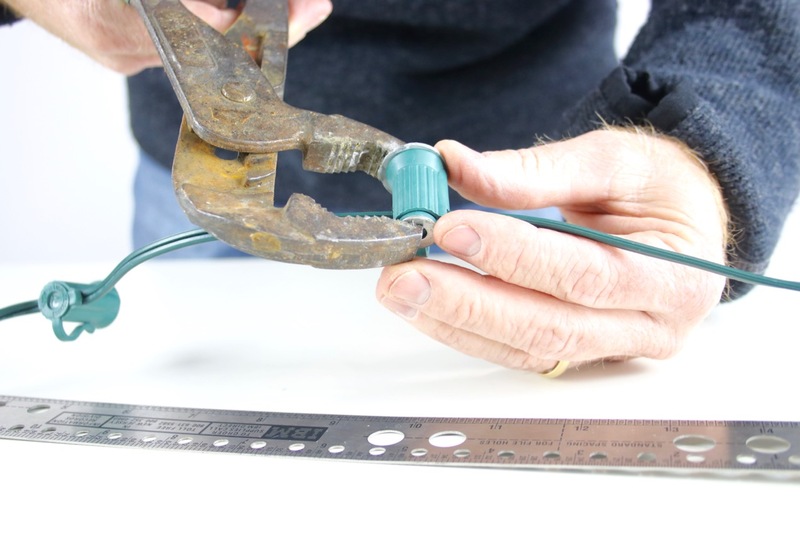 Usually purchased separately, it’s fun to choose a favorite bulb and partner it with a cord that has the best wire color and spacing for your project. The Longer Answer: Continue reading for more photos and links. Both bulbs are “cone-shaped”, hence the “C” as the first letter in their designation. C7 bulbs have E12 bases – same size as a nightlight base. Thanks handy if the exact size of a bulb is in question. If it is close to the dimensions shown in the image below and fits in a nightlight, then it’s a C7 bulb with an E12 base. C7 bulbs in our three most popular versions – traditional incandescent, smooth LED and faceted LED. 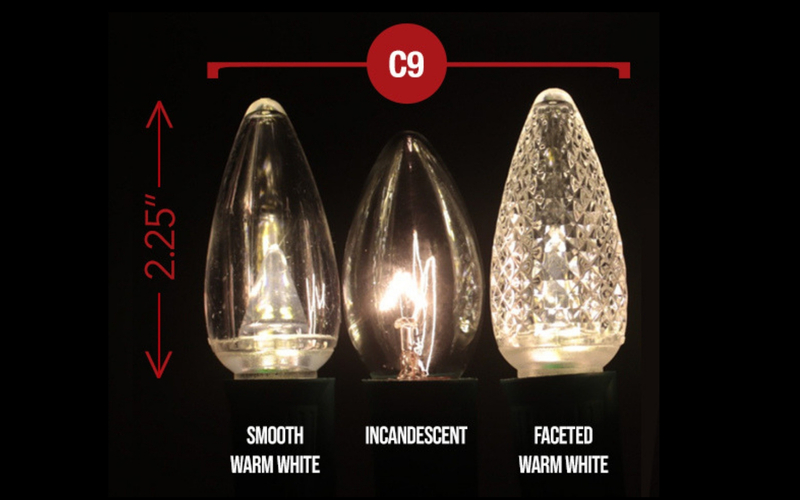 C9 lights are the larger of the two most traditional Christmas light bulb sizes. They have E17 threaded bases that fit into E17 sockets. This size is what is traditionally used for C9 bulbs. 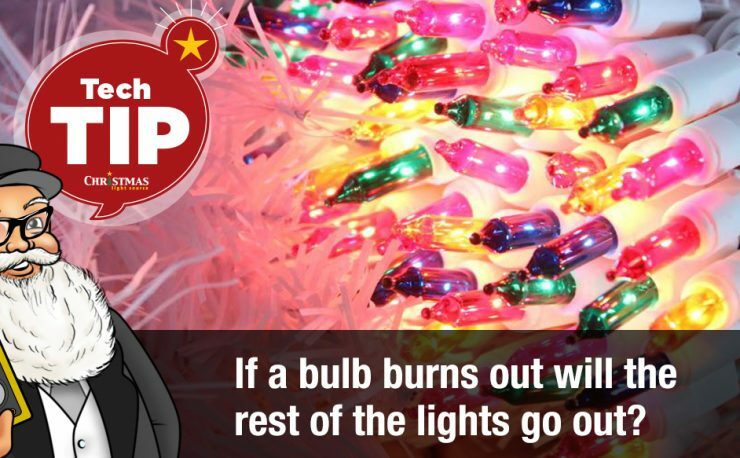 That means that if your cords are in great shape, you can use C9 bulbs as replacements. Here are our C9 bulbs in a sampling of versions as well for comparison. Shopping for that the icy white look of LED? Here are quick photos of the C7 pure white bulb. Watch this video for more discussion about this topic. Hi, I’m Shellie at Christmas Light Source. 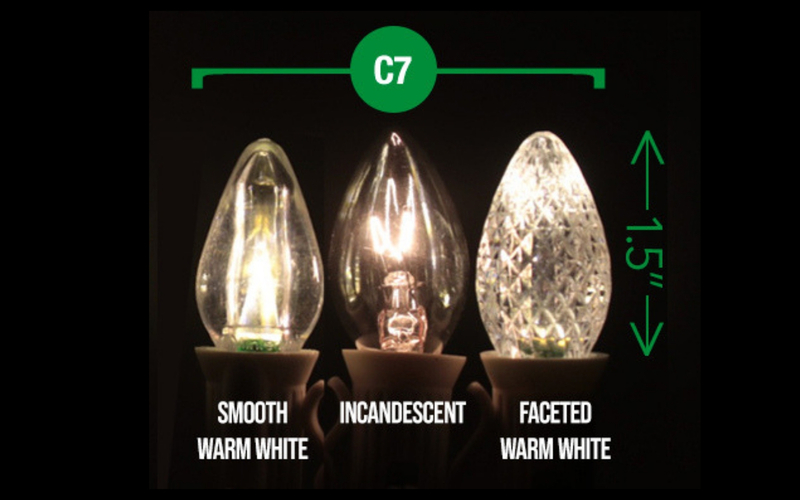 You’ve been researching Christmas light bulbs and you’ve seen C7 and C9, and you’re asking yourself, “What’s the difference?” Avoid returns and disappointments and watch this video to get a good answer to that question. You know, traditional C7 and C9 Christmas light bulbs are the things that most remind me of Christmas. You see, my dad was in the navy and we’d spend stateside Christmas with my grandmother. And every year when she opened the box and you could hear the bulbs clicking against each other, that was always the nostalgic sound that I associated with Christmas. This is a C7 bulb, and this is a C9 bulb. And you can see from the cutaway picture that their main difference is in size. Now, this is a C7. You can tell just by looking that it’s the smaller of the two bulbs. It also has an E12 base, which means it will fit in an everyday common nightlight. So if you’re wondering, do I have C7? Do I have C9? Just grab a nightlight, and if the bulb fits it, then you know you have the C7. And here’s the C9 bulb. You can tell just by looking that it is the larger of the two. At 7 watts, it’s quite brighter and we do offer this in a clear 10-watt version as well. So to answer your question, primarily it’s the size and the wattage that’s the difference between the C7 and the C9 Christmas light bulbs. So hopefully that answers your question. I’m Shellie at Christmas Light Source. Thanks for stopping by. So what is your favorite size? Or do you use both?